A film by Josh Rosen ’96 shows what happens when man challenges AI. Lee Sedol was struggling to keep up with his artificial intelligence (AI) challenger. Sedol, an 18-time world champion of the board game Go, had already fallen behind in the best-of-five tournament against AlphaGo, an AI program designed for the sole purpose of mastering the ancient game of strategy. Contemplating his next move, Sedol cast his trademark quick, intimidating glance at the man across the table from him. To Josh Rosen ’96, producer of AlphaGo (2017), a documentary about the match, this is one of the most telling scenes in his movie. “Sedol clearly was looking at his opponent, but that wasn’t his opponent,” Rosen says. The man in the chair across from Sedol was Aja Huang — a member of DeepMind, the team that built AlphaGo — who was laying down game pieces where AlphaGo directed him to. When Sedol tried to read his opponent, he was really peering into a future where humans are increasingly flying blind, navigating complex tasks with the guidance of more capable AI technologies. The nail-biter of a tournament between Sedol and AlphaGo, held in Seoul in March 2016, was watched live by approximately 80 million people. 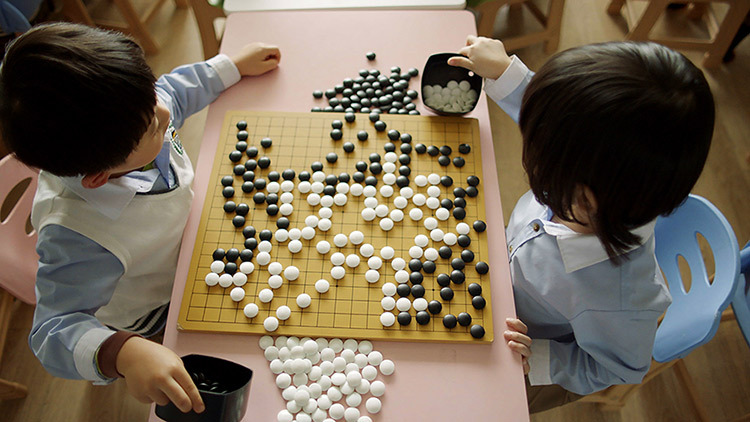 Go is a 3,000-year-old board game involving two players taking turns laying out sets of identical black and white game pieces across a 19×19 grid in an effort to surround and control game-board territory. More complex than chess, Go has more possible board configurations than the number of atoms in the universe. The showdown between Sedol and AlphaGo can now be understood as a key moment in both the history of Go and the history of AI, raising important issues about how we will live with our AI technologies in the next century and beyond. Who prevailed in the end? You’ll have to watch AlphaGo, now available on Netflix, to find out. Rosen, for his part, never set out to make a feature-length documentary, let alone one like AlphaGo, which would premiere at the Tribeca Film Festival and win awards all over the world. Rosen has been telling stories since his college days, and this one took on a life of its own. 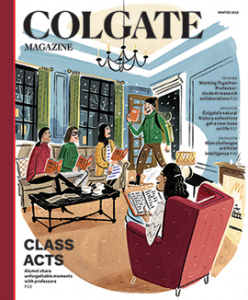 “I always knew I wanted to create things,” Rosen says of his years at Colgate, majoring in English literature and art and art history. After graduation, he lugged his art portfolio around San Francisco, which led to a career in advertising. Today, he is creative lead at Google Creative Lab, where part of his job entails making short videos about the ways people are using Google technologies in the broader world. Through this work, he began collaborating with Greg Kohs, the director of AlphaGo. Rosen’s many roles on the film included outlining the film’s story, working with the editor, and creative directing the graphic and music sequences, among other tasks. The project began with an invitation for Rosen and Google Creative Lab to come to London and see what DeepMind was up to. Kohs and his independent film production company, Moxie Pictures, came on board later, once it became clear that there was a big story worth telling.